Xizt: "The Swedish scene is weird right now"
After surviving their elimination match at the ECS Season 5 Finals, we talked to fnatic's new in-game leader Richard "Xizt" Landström about his time in FaZe and his thoughts on the recent Swedish shuffle. On the second day of the London event, fnatic eliminated Cloud9 in a close-fought best-of-three that went the distance. They now move on to play Liquid for a chance to reach the playoffs on Sunday. This is the Swedish side's first LAN in over a month, and the first event with Xizt in the driver's seat after he was brought on recently in place of Jonas "Lekr0" Olofsson, who went on replace William "draken" Sundin in NiP. Last time we talked to you, you said your goal was to return to an IGL role. What's it like for you, being back as captain? It feels good. I obviously have some really great players with me, they communicate very well and make my job very easy. And I think we have the same understanding of the game, so being on the same page as the players is just great. It's a bit stressful in some situations and we're trying to play a bit slower and use our experience, because we have so much experience between us. If we just slow things down I think we're gonna be more succesful. In that same interview, you said that one of the problems at the beginning of your run as a stand in for FaZe was communicating, because you were used to speaking Swedish. So what's it like to come back to that? It was a bit weird hearing everything in Swedish again, but I think it just makes everything much easier. We had some problems in FaZe with the communication sometimes, especially in stressful situations. In tight situations, there was some misunderstandings. When things got close at the end of maps, someone might misunderstand a call or something, which very easily happens when you're speaking English. 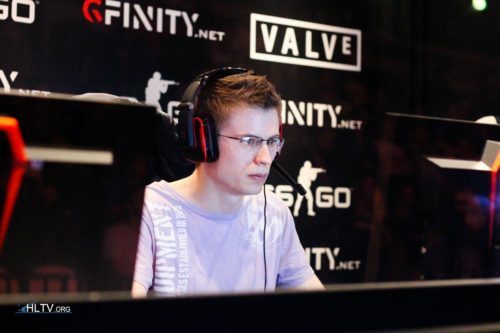 You've been talking about wanting to learn from karrigan while you were on the team. What do you think you learned? It's actually funny, I think karrigan actually learned from me in the beginning of 1.6 when I was captain of that team (fnatic 2012). The most important thing for me in FaZe was just that I could just relax and play, and not having to call was good for me as a player, just learning what it's like from that perspective. Of course, I learned some strats and other stuff from him, but I have my own calling style I would say. So, right now we're just past a bigger Swedish shuffle, and there's been some debate about what's going on, who's really going where, what's gonna end up with players like draken and Lekr0 after they were released from NiP and your new team. How do you feel being the one who's coming out on top of all of this? I think the Swedish scene is a bit weird right now. All the shuffles are a bit weird. I don't think the right players have the right roles. If you look at Dennis, he's probably the best entry fragger in Sweden right now and I think they should unleash him more. There are just a lot of players in weird roles. Would you say that also goes for your own team? You came in, Lekr0 was released, and now Golden has been moved to entry fragger. Is that also part of the weirdness of Sweden right now? Yeah, it's definitely a part of it. Entry fragging was something that Golden really wanted to do, but at the same time, we're also struggling a bit with who's gonna be our second AWPer. We have JW, who's more like a hybrid player, and he doesn't want to main awp all the time and play more with his guts. It's new for us, but I think we're getting there. Me and Golden just have to become a little more synchronized. But yeah, I think in a few months the Swedish scene is gonna quiet down and everyone will fit their roles better. 2 teams in top 10 how is that dead? Ez xizt. Proud of you. Although with the right mix of players you would have 2 top 6 teams. Yeah, definitly. JW doesn't want to be the main awper anymore. Agree with most of your opinions. But have you ever thought about that olof may go back to fnatic? He declined faze's matches all the time but he still stays in faze, is he waiting for a chance to reunite with his old friends? If so, olof krimz xizt jw flusha would be perfect. Olof has health issues, JW tweeted "Health comes first" in response to Olof inactivity. I made my teams based on past experience with each other and the org along with toles. On your Fnatic team there is no dedicated entry fragger. Which is the main problem Your NiP team is good but has no support and 2 hybrid awpers and not enoughstar power/great aimers Your godsent team is decent but i cannot see a world where Get right and Friverg would play together or with a lesser org. Not to mention no dedacated awper. Yes i know twist is currently awping but i dont consider him a dedicated awper more a rifler. But he can also awp. 1. REZ Is entry on NiP 2. Dennis and F0rest are easily top 3 players in Sweden. 3. Draken = Awper, Lekr0 can be used as support. lol what did you smoke to put rez in a support position? Yes, he is inconsistend atm but when he gets consistent he is a beast. Thats why i put rez as a support. He is wildly inconsistent but when he does have a beast preformance woth my nip where golden IGLs. Goldn would in theory play support and call while rez beckmes a beast. And no i was not smoking. Consistency is key. Look at rain. He his not the best fragger or player but he is consistent that is why he has stayed on faze for so long. He has always been consistent and improving. -1 +1 LUL Why people on hltv think they always need to answer to others people's opinions xD Sometimes we just want to express ourselves, we don't want to accept your(s) point of view just because "yes" or because you may think that we need to think the same way you do... I'm a wolf, not a sheep... MEGA LUL Have a nice day! ''We have JW, who's more like a hybrid player, and he doesn't want to main awp all the time and play more with his guts.'' This might mean that Draken is on his way to Fnatic. so french scene great. Kappa. Just like every sport, every country has a bad moments. NIP and fnatic destroyed all teams, now its time for rest. I actually wonder, how they have any motivation to win ? They won everything + rich as f***. You have a point. Sometimes when people reach too much success they become complacent and no longer has the drive they once had for them to reach the said success. It's a sad pattern really: motivation is very a very important factor. 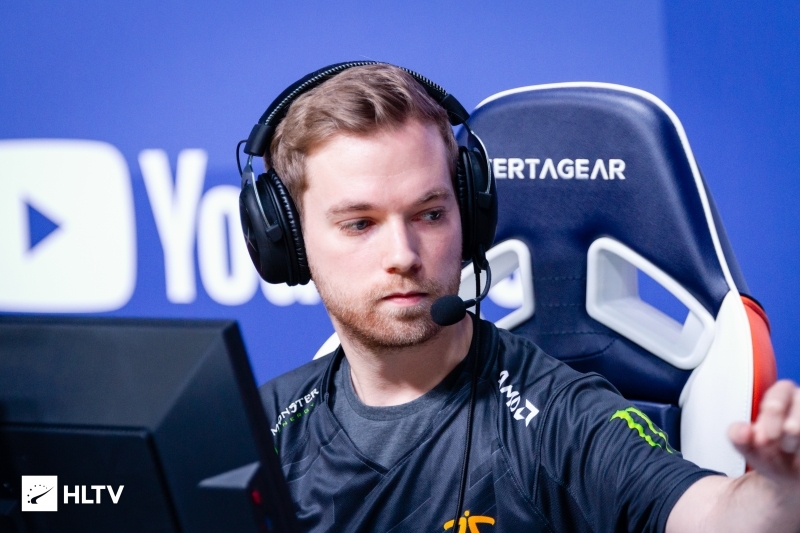 Golden to nip, dennis back to entry-fragging, Olof back to fnatic Perfect. *Q: Why no draken but olof? A: So that jw and olof can change roles flexibly just like old fnatic times. Olof is way better than draken when it comes to rifle. Also, olof works pretty well with his old friend--KRiMZ. So wait,Xizt is IGL,Lekro is benched and Golden stayed in team. Wow,good job Fnatic,very good job. If you think Cold cannot IGL then why do you want Fallen to leave SK? The moment nip needed a more tactical gameplay it all went for the worst. Only when treath taking over that role they were on point. Xizt is not a good igl... Duno why people hype him as an igl. He had so many time in nip to show that. "what's gonna end up with players like draken and Lekr0 after they were released from NiP" weird phrasing, "released" sounds like their contract expired or they actually got released from the contract, also dunno why its draken and lekr0 in a sentence referring to them being released since Lekr0 was added to the team and not released?? I guess it all would make more sense if it's supposed to be "released from NiP and fnatic" or "released from their teams/former teams". stop being pedantic you know what the line meant.
" I think in a few months the Swedish scene is gonna quiet down and everyone will fit their roles better."" aka golden is gonna get kicked and someone else will come in to replace him as an actually useful entry fragger. but I have my own calling style that made nip fall ??? "the swedish scene is WEAK right now" there you go buddy, i fixed it for ya. "If you look at Dennis, he's probably the best entry fragger in Sweden right now" Does this mean: -Golden +Dennis or did Dennis have issues with anyone in Fnatic?